how does a tea cup relate us to space? It’s much like how a man who sits under a tree and overtime people gather to hear his ideas as the beginning place for designing a school. Louis Khan, the architect felt that if one were to design a school one first must enter upon thinking around that man sitting under the tree and people gathering to learn from his ideas and to build out from that… He felt that architecture is the thoughtful making of space. In my house, when I drink tea/coffee, I do so from a juice glass. This habit is left over from having traveled through Holland where I sat in their bars drinking from a pilsner glass. The experience was way different than drinking from a pint glass. This discernment stayed with me. The slender design allows drinkers to appreciate the colors and carbonation bubbles within their beer. The slightly wider top of the glass also helps retain the foam head of your beer, and bring out its true flavor profile and aromas. Whereas, in the states bars love to stock the pint glass because they’re easy to clean and simple to stack. They have a brutish quality that I would compare to shopping at Walmart. Turns one into a ruffian, at the least more drunk because the pint glass holds more than the pilsner. What would be so hard, if they offered a more taste specific glass? They do so for brandies. To the notion that began this text: how does a tea cup relate us to space? The coffee mug is a given in most homes though I detest drinking from one. It deflects from the experience. It invites chugging rather than sipping. And it’s so heavy. Much like when one goes to a restaurant and the waiter thinks he is doing you a favor by filling your wine glass to the brim. He has just short changed your experience. He has pushed you into a zone where you must succumb to his demands and drink, or not. Call him back and ask for a new pour, this time a half glass- one that allows for you to swirl your wine so to be intoxicated by its color and aroma way before the alcohol enters the blood stream. Also, it will impress your date. At least give her something to chuckled about. 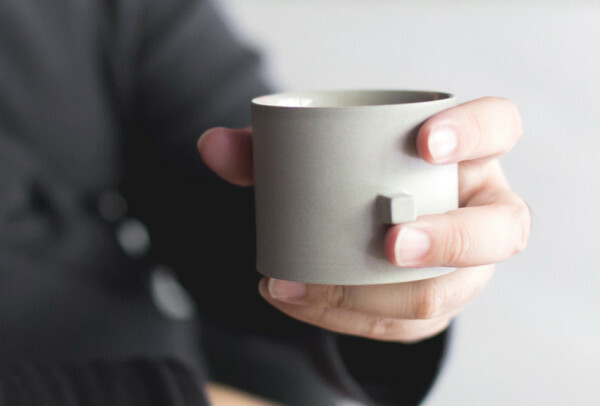 This idea of a tea cup as it relates to space goes back to ancient Korea where the potterers would intentionally put a crack in a too perfect cup. That the cup was just as important as the tea. That life was rifed with imperfection. There is this drawing exercise to teach you to draw what you see not what you think say a house looks like. You are instructed to draw something with two stipulations: that you not look at what you are drawing while you are drawing and once your pencil hits the page you are to keep your pencil pressed to the page until you have finished your drawing. The resulting drawing is more closer to the thing than if you would’ve just drawled what you thought the thing looked like. 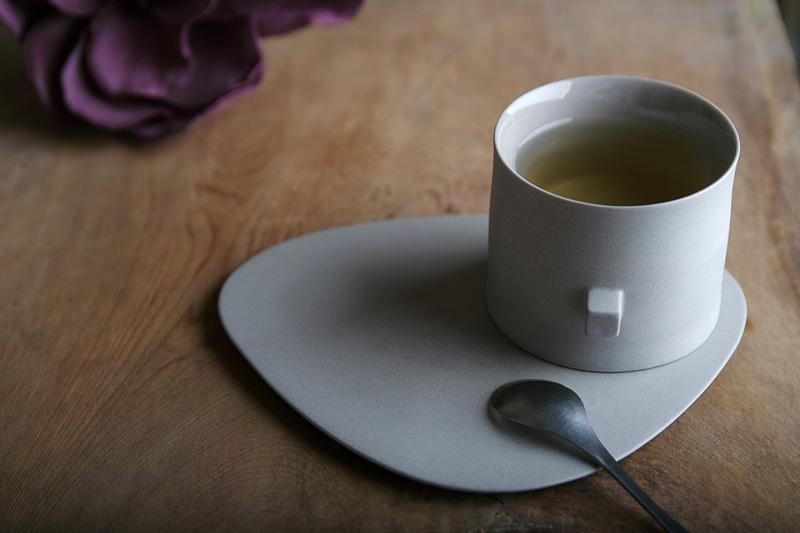 Chuntso Liu designed a tea cup after my heart. Unadorned and built out with a stub for one finger to guide it to the mouth. 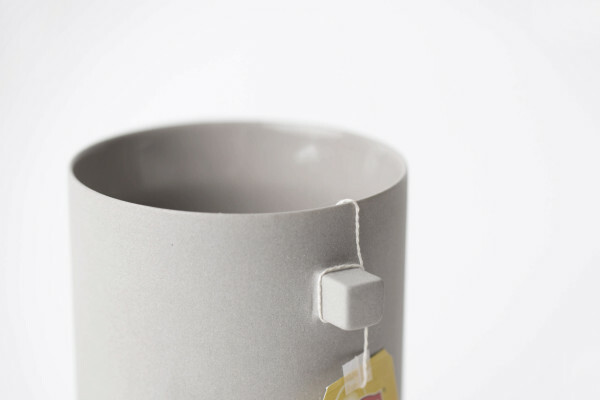 It keeps the tea bag from slipping away. Space has no form but when we touch something hard we come to the end of space and how we relate to the experience informs who we are.